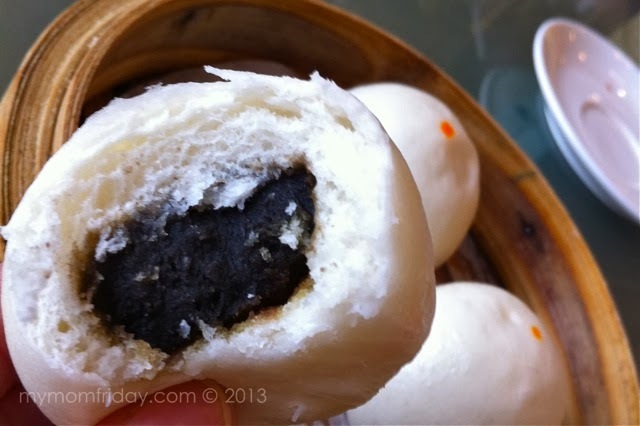 I can't say no to dimsum and a hot bowl of Chinese noodle soup. There are days when I really crave for them, and just got to have my fix from wherever is convenient at that moment. Lucky for me, I live in San Juan City where our neighborhood is now being called the little Chinatown where Asian stores and restaurants are aplenty. 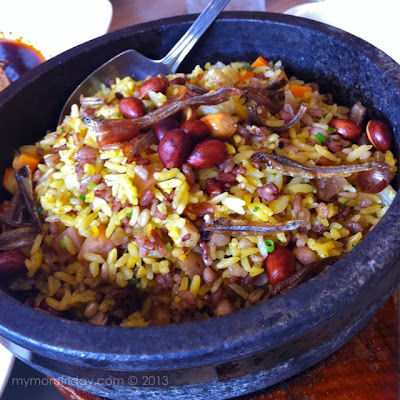 Greenhills, in particular, boasts of highly rated dining places like the famous Singaporean franchise, Crystal Jade. 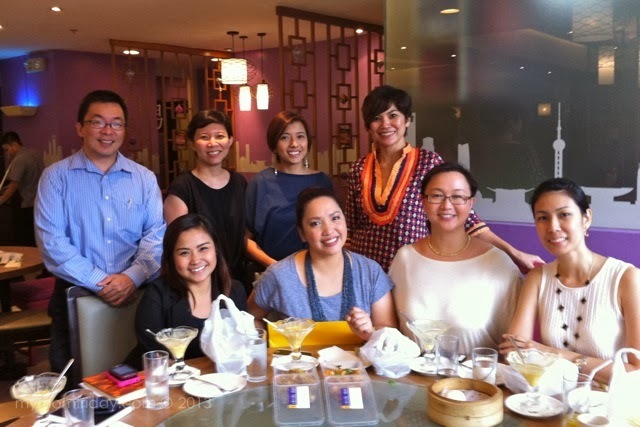 Early this month, I was invited for brunch with some blogger friends at Crystal Jade in Greenhills, now renamed Crystal Jade Shanghai Delight. With a fresh updated look and name, ideal for casual dining, Crystal Jade Shanghai Delight is now serving new creations like multi-flavoured Xiao Long Bao, as well as Braised Minced Pork & Mushroom with Cabbage “Lion’s Head”, Spicy Beef with mushrooms, and Sautéed Beancurd with Seafood in Hot Stone Pot, among others. I was excited to revisit one of our old reliable restos and try their new mouth-watering Chinese specialties. Yum-yum! On to the food, shall we? I'll let the pictures do the talking. Believe me, they do taste as good as they look here (photos taken with only my iPhone4)! 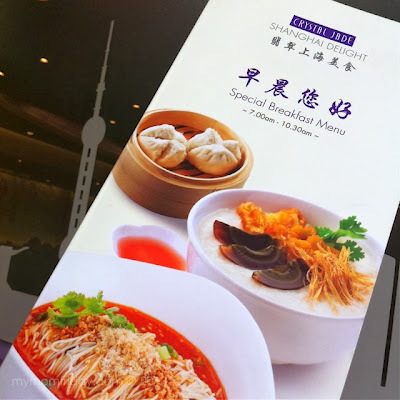 This is their new menu, with our usual order La Mian Noodles with Dried Shrimp & Peanut in Spicy Sauce, and Multi-flavored Xiao Long Bao featured on the cover. For our first tummy warmer, this Congee with Pork Rib & Dried Fish (PhP 208) reminds me of the lugaw (congee) my grandma used to cook, with boiled peanuts too! Perfect for breakfast or light lunch. 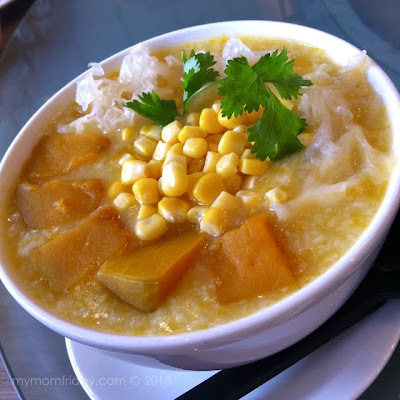 Another unique lugaw dish - Congee with Snow Fungus, Pumpkin & Sweet Corn (PhP208). 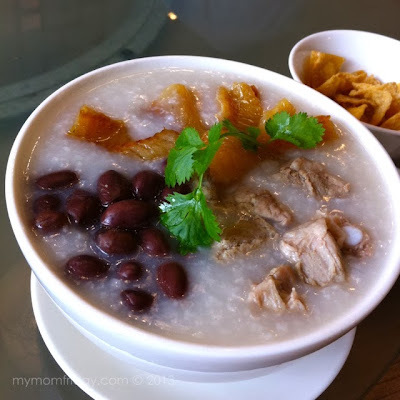 I personally prefer the pork congee (above) over this one. I am not used to having savory pumpkin lugaw since in our family, we normally cook a sweet version of this (yes, sweet lugaw with orange camote). The snow fungus I prefer to be in a soup dish. My personal favorite and ever-present order from Crystal Jade - Crispy Eel in “Wu Xi” Style (PhP 288). I was delighted when they served it coz I love this dish. 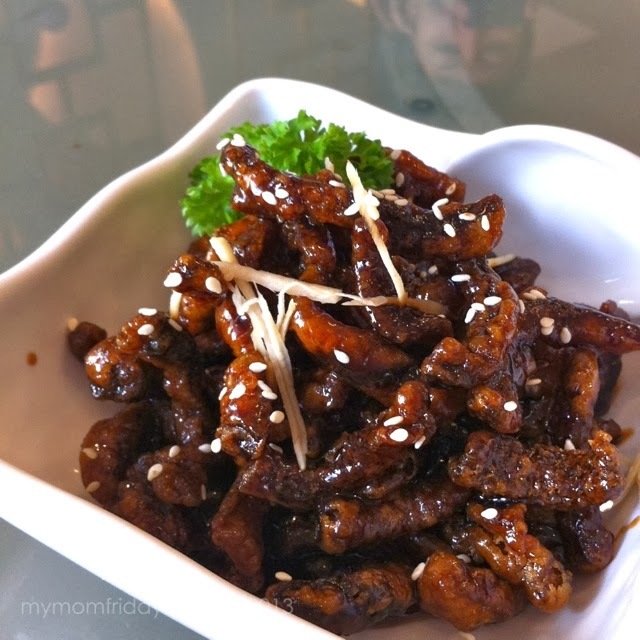 Surprisingly, it was the first time for my friends to try it, and this crunchy appetizer instantly made fans out of them too! If you like the sweet, sticky, crispy dilis, you will like this for sure. Sweet-salty-crunchy, very addicting! 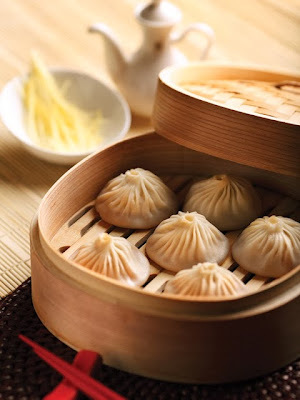 Now comes the special Multi-Flavored Xiao Long Bao (PHP 229 / 5pcs). 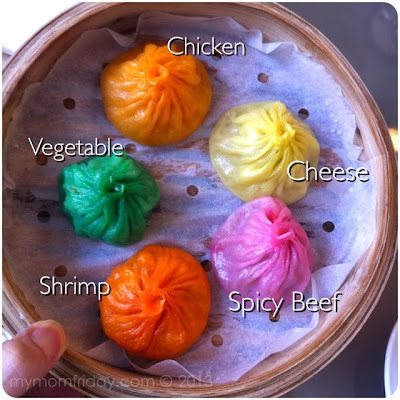 A must-try, the delicious soupy flavors include: cheese, spicy beef, shrimp, vegetable and dried bean, and spicy chicken. I would still eat more of the traditional Xiao Long Bao over this assorted set, but will definitely include this in my order for variety. Kids will enjoy these, especially with the cheese and shrimp filling. You can mix and match, or choose just one flavor per order, if you wish. 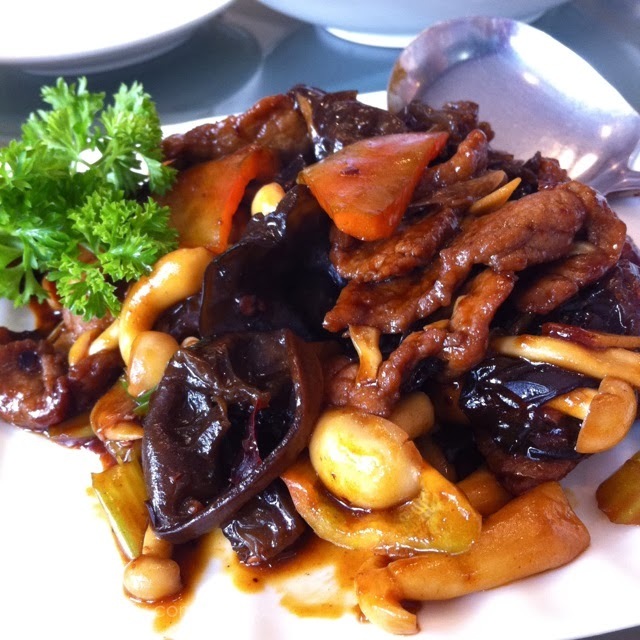 We also got to enjoy well-known Crystal Jade dishes, like the Spicy & Sour Soup in Sichuan Style (PHP 188). 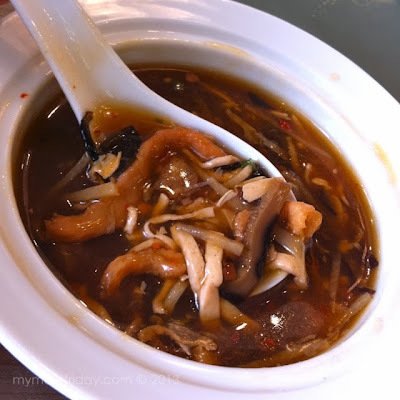 The balance of spicy and sour flavor is just right for me, but I expected the soup to be a bit thicker in consistency. ; PhP188/snack portion) tastes fresh, and not oily. I think this is healthier than the other variants 'coz it has white meat. 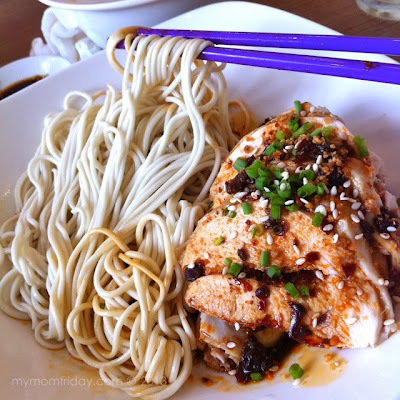 But I don't like white meat, heehee... so I'd rather order their La Mian with Beef in Spicy Soup or Tan Tan Mien. I'm used to the combination of beef and mushroom, and this Sautéed Beef with Mushroom in Spicy Sauce (PHP 388) is a safe bet - a wonderful marriage of exotic fungus varieties and tender beef strips. 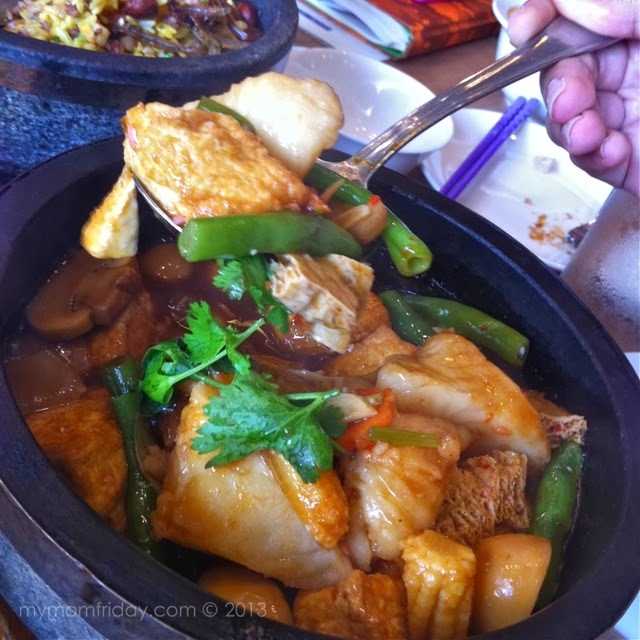 Aside from the crispy eel and fried rice, this was another favorite from the group - Sautéed Beancurd with Seafood in Hot Stone Pot (PHP 458). A saucy pot of succulent squid, shrimp, and melt-in-your-mouth fish fillet, with chewy bean curd and mixed crisp veggies. Must-try! Always leave room for dessert. I enjoyed eating this soft warm mini buns with sweet red bean paste - a mainstay in most Chinese lauriat dinners. These actually make for perfect snacks. My all-time favorite chilled mango purée with tapioca balls, made creamy and chunky by Crystal Jade. 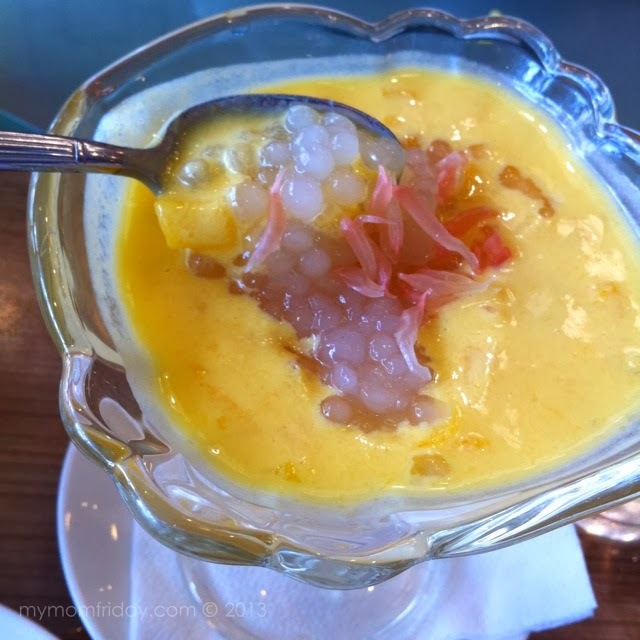 Mango Cream with Sago & Pomelo (PHP 130), with sweet mango chunks and pomelo pulp bits. I'd go for the purée without milk/cream, but I still managed to finish this one despite being full. A perfect ending to our sumptuous meal. All smiles, it's obvious we're so full and happy with the delectable dishes we devoured at Crystal Jade Shanghai Delights! I'll be back. Thank you for having us, Crystal Jade! Guess what? Crystal Jade Shanghai Delight is now open for breakfast! 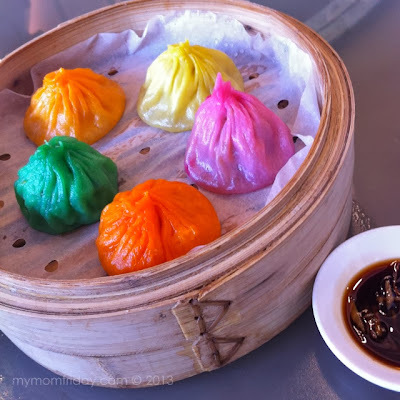 From 7 to 10:30 a.m., you can enjoy a savory bowl of congee or any of their famous freshly pulled noodles and popular dimsum selection. You might want to bring the family to dine here for new year's eve breakfast or lunch. 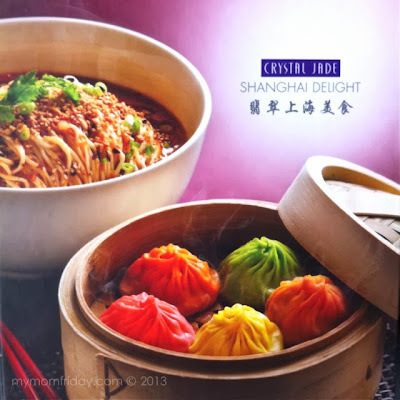 Another good news: Crystal Jade Shanghai Delight now delivers! Just call (632)87878 via CityDelivery (www.citydelivery.ph). Note: Xiao Long Bao photo courtesy of Crystal Jade.